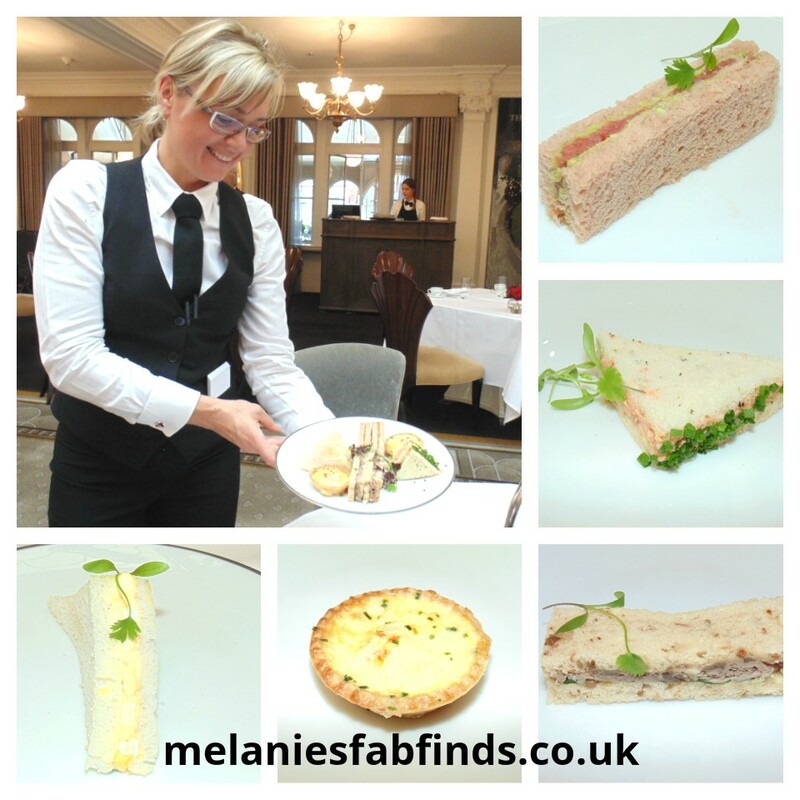 Having had such a wonderful time when I went with a friend using a Buyagift voucher to have afternoon tea at the Waldorf a little while back we were very keen to repeat the fabulous foodie experience. Our plan is to work our way through the numerous restaurants and afternoon teas in London and report back to you all so you can see them in action and get a feel of each experience for yourselves from the privacy of your own homes. Let’s face it, seeing the posts with the food itself makes it much easier to decide where you want to go and I will warn you from now you are going to see some exquisite treats as you scroll down so I really hope you are not reading this on an empty stomach. We took a look at the Buyagift site as we were really impressed with the level of service the last time we used them. 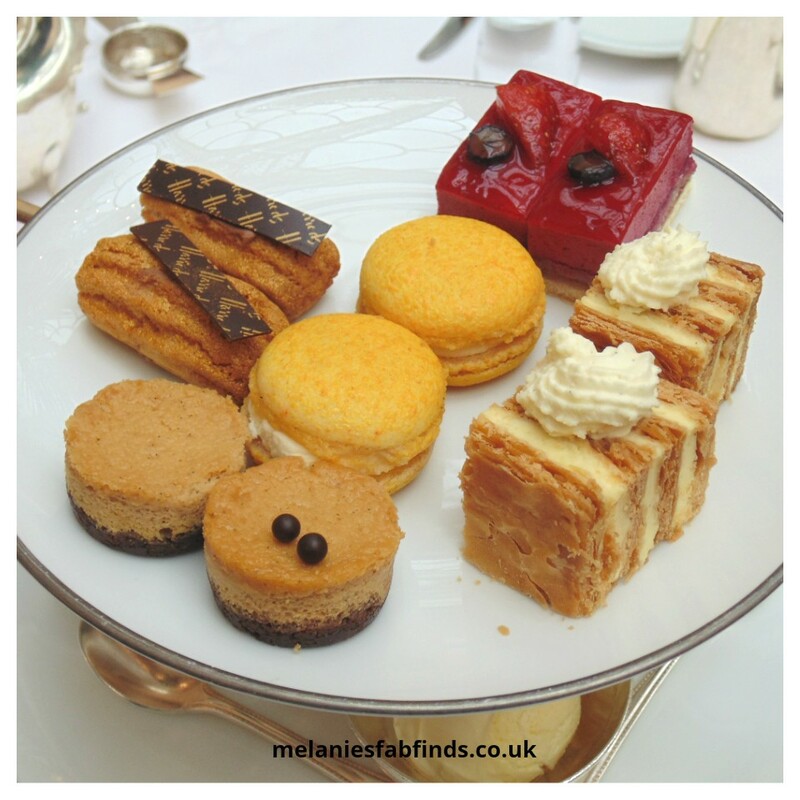 Yet again I struggled to decide where to go to next as there are so many fabulous afternoon teas on their site which is great for foodies like myself as I love to have a variety to choose from. Finally the decision was made and thinking back it was one of the best decisions I have ever made. 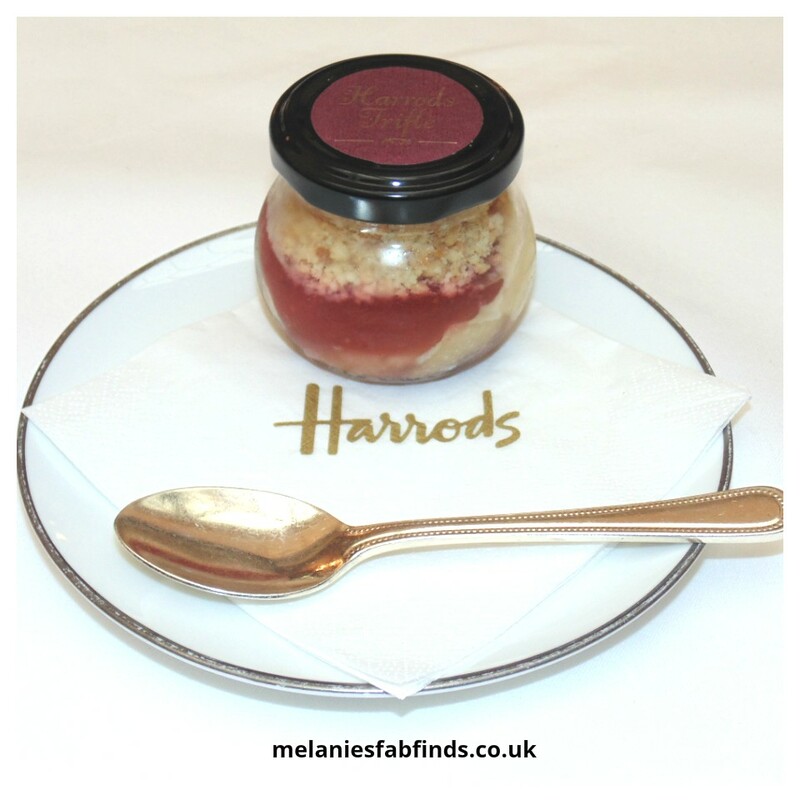 The title of my post gives it away, but the afternoon tea we decided to experience was at none other than at the world famous Harrods store in London. 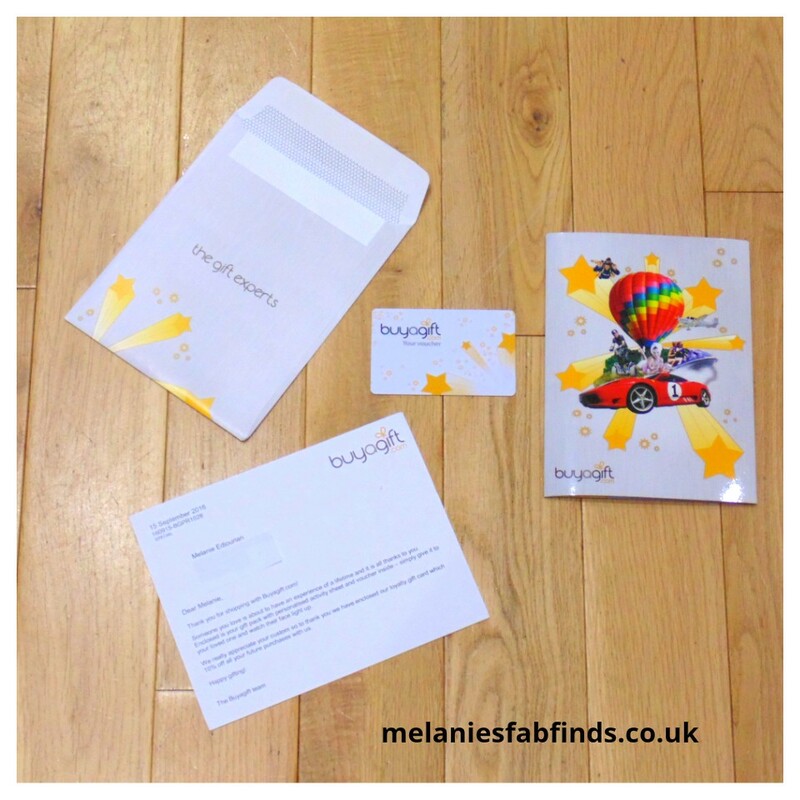 Once we ordered the gift experience from Buyagift the voucher took next to no time to arrive which was great as we were extremely excited to get ourselves booked in, who wouldn’t be! The afternoon tea experience makes a super gift and it’s not just foodies that are catered for on the site, they also have offers for days out, driving experiences, short breaks and much more which is useful to know as Christmas is rapidly approaching. You might also like to take a look at their special offers, would you believe they have experiences starting from £10! 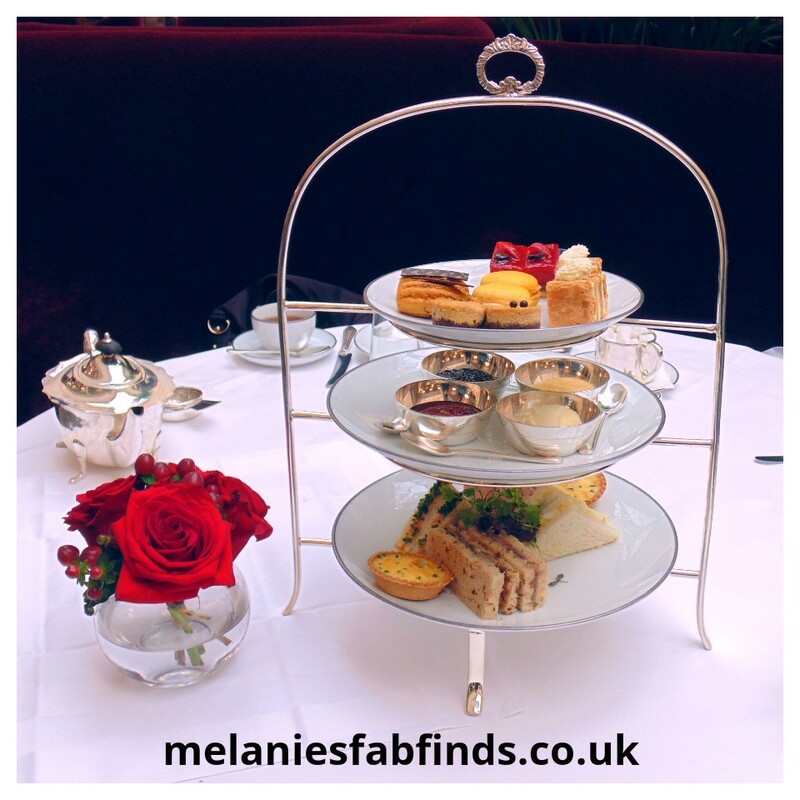 The day arrived and in our excitement and chatter about the previous Afternoon Tea we had experience recently the time flew by and we arrived at Knightsbridge Station. A brief walk and we were at the world’s most famous department store. As we strolled through the store taking in the ambience we couldn’t help but notice some gorgeous handbags. What more could a girl want, a spot of shopping and a luxury afternoon tea, now that’s my idea of heaven. Off to the Georgian restaurant with it’s bright airy room and extremely comfortable and spacious seating. The attire here is smart casual. The best time to come or should I say the quietest is during a weekday at around 11.30 when they open. By about 1pm the room was much livelier although this did not in any way affect the service and it was not what one might called packed. A lovely light Jasmine Dragon Pearls, China tea was the perfect accompaniment for the impending feast. A beautiful selection of savoury and sweet arrived at the table . Our server for the two hours (that’s how long a time slot is) was the fabulous Loretta. 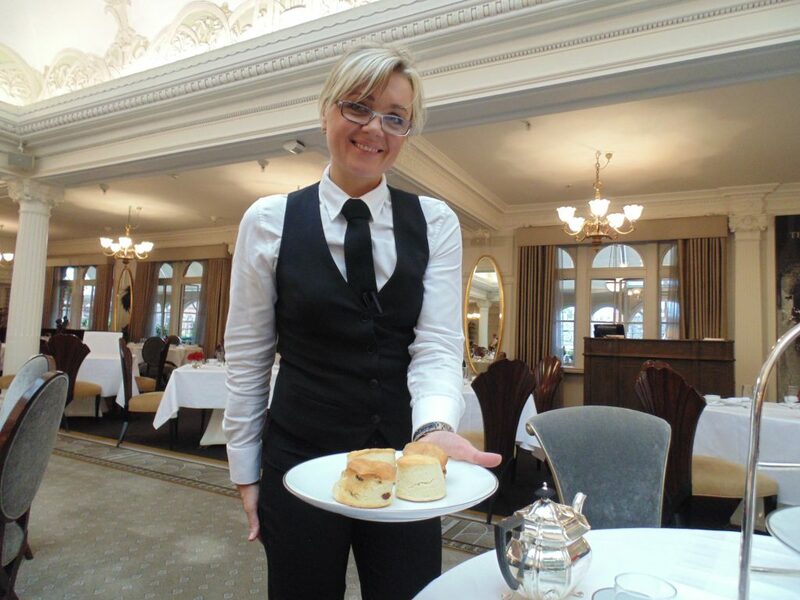 She ensured that the service was impeccable throughout the duration of the afternoon tea and was also kind enough to pose for photos too. If the guys at Harrods are reading this I hope you know how great a member of staff she is. The sandwiches were dainty, freshly prepared (the bread was soft and not dry on the outside a tale tale sign of freshness) and there were four different ones plus a warm tartelette with sundried tomato and mozzarella which was yummy with the flavour of the sundried tomato really coming through nicely. The pastry was lovely and crumbly and the filling aside from the generous chunks of sundried tomato was smooth and creamy. Egg and cress on plain white bread. It was nice as I do like egg and cress although I could’t see much cress in mine. The filling was chunky and creamy and there was plenty of it. Roast beef with blue cheese, rocket salad and caramelised onions in granary bread. This was a great mix of flavours that worked well and created a delicious sandwich which you will wish was full sized! The most prominent flavours were the blue cheese and onion. The inside of this sandwich was moist which was nice as you don’t always get that with sandwiches containing beef . Turkey and sundried tomatoes in carrot bread. The prominent flavour here was the sundried tomato with was nice, the flavours were not as strong as those in the beef sandwich so I would suggest eating the beef sandwich last. Smoked salmon and herbs in beetroot bread. I love smoked salmon and it was beautiful complimented by the selection of herbs that appeared to have been blended with butter and spread on the bread. Just in case you’re curious you can’t taste the beetroot in the bread. Once everything was close to vanishing the lovely Loretta appeared and offered us another plate. Of course it would be rude to say no. After the second plate of sandwiches we were ready to tuck into the scones which again appeared perfectly timed like a military operation, it was flawless. The scones were warm and ready for us to tuck into. By this stage I was wondering whether I could bribe Loretta to come live at mine she was aware of everything happening in the room and was very efficient and fast. If the tea needed refilling or even a fresh pot of tea brewed she was there to do just that before we batted an eyelid. Plates were cleared between courses and fresh ones brought out and placed in front of one person and then a trip around the table (no leaning over one to get to the other) to place the second plate in front of the next person. We were brought two plain scones and two with raisins with the option of more if wanted. We declined a second portion as by this stage we were getting pretty full! The selection of toppings included lemon curd, strawberry jam and rose jam with rose petals. 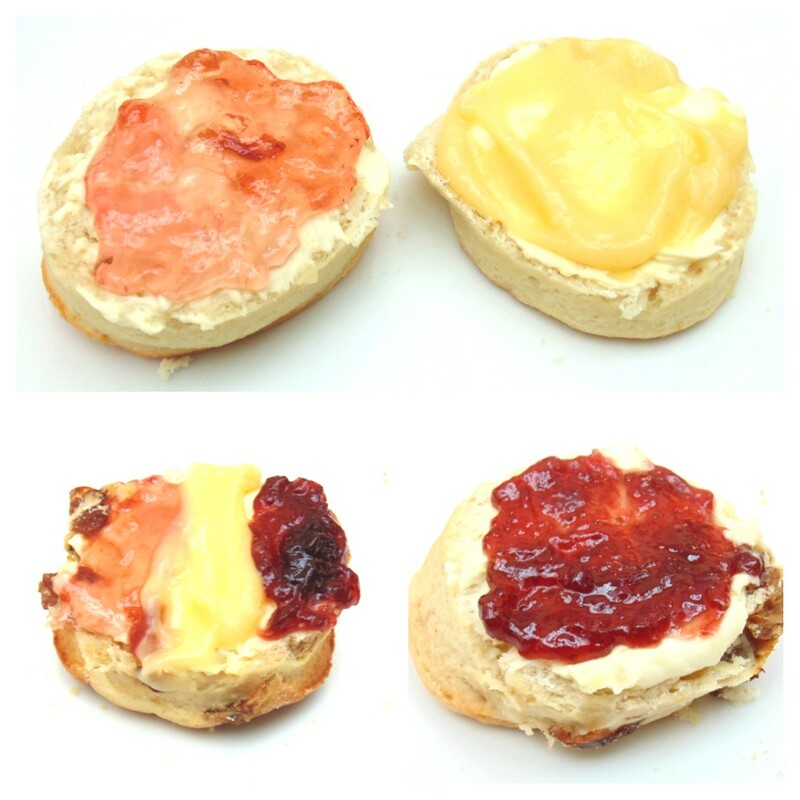 Each was delicious but I struggled to decide which to use on the second side of the second scone (side 4). And then a moment of pure genius I didn’t have to choose I could have all three which I suggest you all try. I bet your mouth is watering now, it would be hard to resist these gorgeous freshly made scones which were nice and buttery with a soft fluffy centre. Next a colourful array of delicious pastries that were simply stunning and tasted just as good as they looked. Mixed berry glamour. 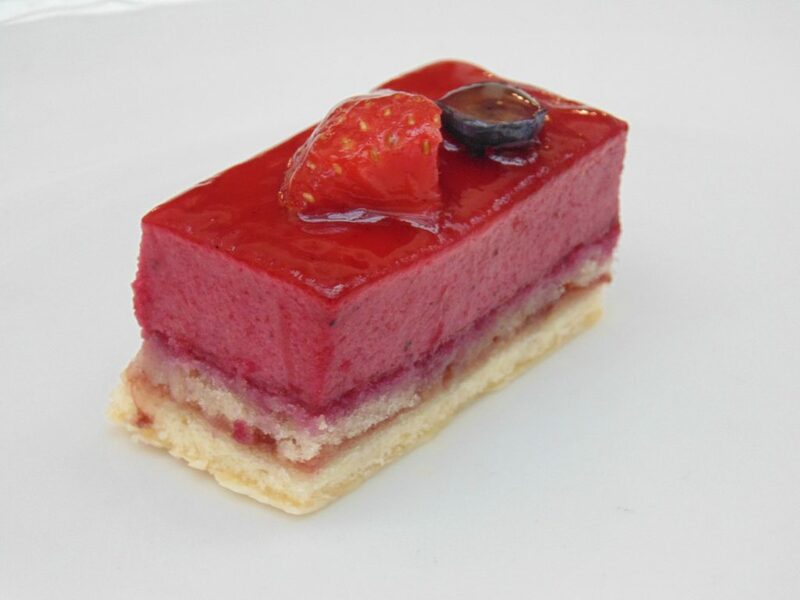 This tantalising dessert was mouthwateringly tasty with a refreshing berry flavour. It was lovely and smooth and not very tart and was one of my favourites from the selection. 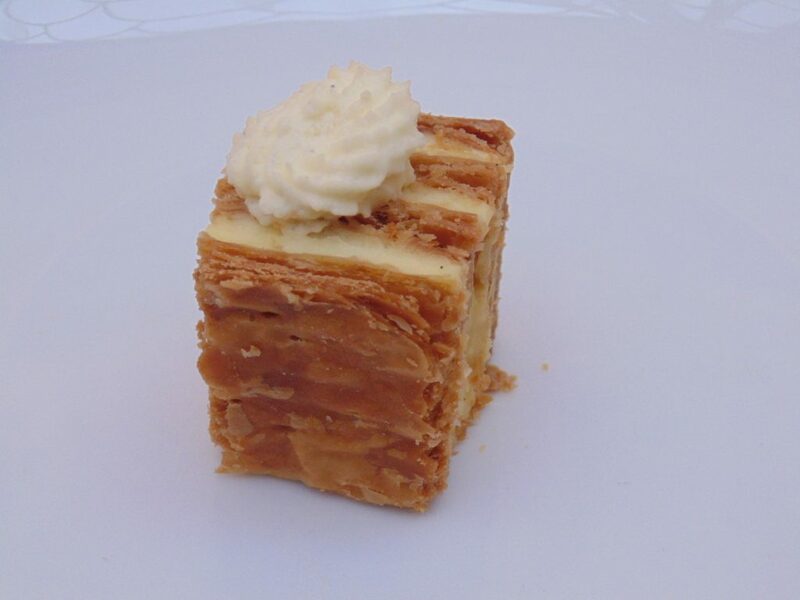 Next along was the vanilla millefeuille with Chantilly cream. This was divine, the pastry was moist, with a buttery flavour yet still flaky and combined with the vanilla custard and topped with cream, the millefeuille in its entirety tasted superb. If I wasn’t feeling pretty full by this stage I would have considered second helpings. This was followed by the banana toffee cheese cake. I must admit this was not quite on par with the rest of the pastries but they still managed to vanish all the same. The vanilla eclairs looked really cute. The choux pastry was exemplary and these were everything you would expect from an eclair. With the range now available in eclairs I would personally suggest swapping these for an alternative flavour that is a little more adventurous like a pistachio eclair or salted caramel or the like although we still enjoyed it very much. Last but certainly not least was the jasmine macaroon. In a word fantastic! This was extremely delicate and it was tricky to not destroy it with fingers as it made the journey to our mouths. This was moist and literally melted in the mouth and was really good. I freely admit that it is even better than my homemade macaroons, I better get practising! The final item served was a Harrods trifle which was exceptional. Although we were fit to burst by the time it came, our plans just to have a just one spoon just to try soon flew out of the window as it was the best trifle ever!!! This strawberry trifle had just the right amount of sponge, compote, custard and crumbly topping and was expertly made so that the flavours and layers combine like a dream. It was almost a case of blinking and the trifle had vanishing it was that good and just thinking about it is making my mouth water. This was such a great afternoon and the atmosphere in the Georgian room was very relaxed which combined with the fabulous service meas you simply won’t want to leave. The thought of going back to reality, doing the school run, going home to do hours of homework was not quite as appealing but unfortunately it had to be done. For the moment I must dwell on the memory and photos from this lovely day out and thank both Buyagift and Harrods for the fabulous service and making this afternoon tea the best I have ever experienced. Hopefully the next afternoon tea will be just around the corner and of course I will again share some more photos of the delightfully delicious delights with you all. You had me at Afternoon Tea! Next PostDid you Cut your Spending this Christmas? Cafe Rouge has a Great New Children’s Menu, Plus get a Free Children’s meal! Oooh it looks so fancy! Everything looks so tasty, but especially that mixed berry glamour! Yummy! That one was delicious. It was a lovely tea. I suggest you give it a try it is fabulous! We were pretty pleased about that too although the rose was a lovely addition. I love afternoon teas and I heard they are amazing at Harrods. You are making me hungry now! It is one I really would recommend. Oh wow, their afternoon tea sounds amazing. They have a really nice setup! Wow the pastries look so yummy! I would love to try them all! They do look amazing, we really enjoyed them. It’s worth a trip to London to go there, it was lovely. This looks like a fabulous experience – and everything looks SO delicious! This does sound amazing and is somewhere I would love to go one day for afternoon tea. Maybe next year when I’m in London. It just all looks so elegant and lovely, I would absolutely love to do this, will have to check out buy a gift. This looks like a fabulous way to while a way an afternoon! Lucky you. i love a good afternoon tea. didn’t know harrods did one! Still never done this! I think I always dismiss afternoon tea here because I keep thinking it is going to be busy. Looks so classic though. Afternoon tea at Harrods. What a lovely treat. All the food looks really good. this afternoon tea looks fabulous. I need to go try one. OMG, what a feast! 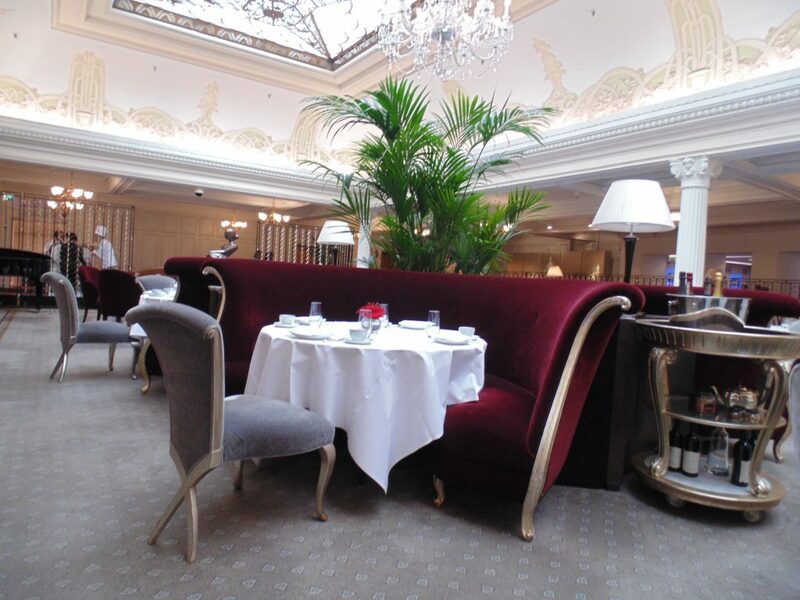 An afternoon tea in London – either at Harrods, The Ritz or Fortnum & Mason is on my wish list. One day I will treat myself. Enjoyed reading about your tea and seeing all the photos. It is a feast and the food was delicious. I hope you get to go Galina. What a fabulous looking afternoon tea! I always prefer more sandwiches than cakes on my afternoon tea. Oh my word, this afternoon tea looks amazing! I love all the photos and details about the food. I can only dream of having such a lovely experience – maybe one day! I have never ever had afternoon tea but this does look incredibly fancy! It was but the environment was very relaxed. I’ve never had afternoon tea before but I need to have it here!! It’s a really good afternoon tea! 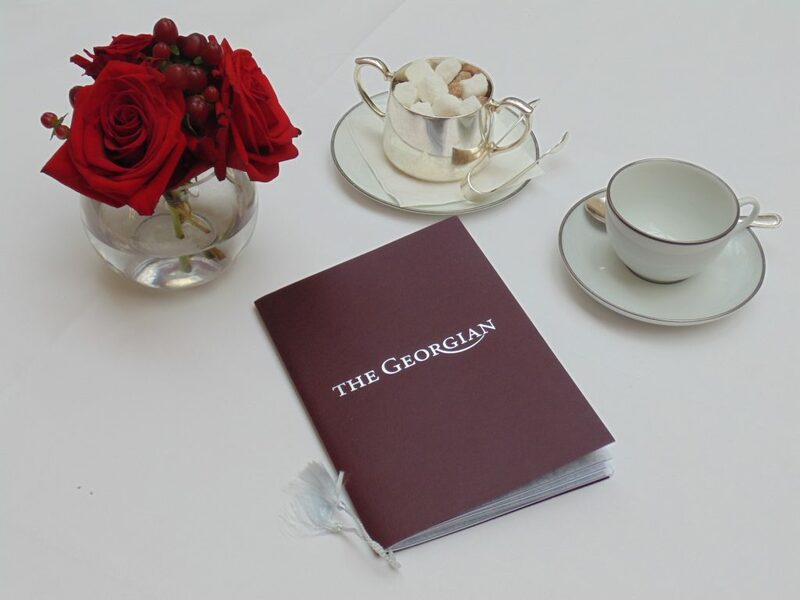 Love afternoon tea, personally I think The Athenaeum and The Wolseley are the best. Looks yummy – my friend and I keep talking about ‘doing tea’ so something to bear in mind. Harrods is an amazing shop and this afternoon tea looks lovely! It was a really good tea and served perfectly too. It was fantastic, we loved it. You should it was amazing! Oh what a gorgeous treat. I love a good afternoon tea in London. Such an indulgent and yummy treat! What a fab selection! I wouldn’t know what to try first! It is a great place to spend the day. I love how fresh the sandwiches are. The desserts are to crave for! Perfect afternoon with these a cup of tea. It was the perfect afternoon tea. I would highly recommend it. It was really good. I’d go again! I absolutely love afternoon tea! Me too and this one was amazing!!!! My goodness, you must. It is a great thing to experience. It was lovely I would love to go again. Oh wow!! That looks amazing!! I would love to go. It was a lovely afternoon tea. We really enjoyed our time there. I do hope you get to go, it’s really lovely there. So beautiful! I’m coveting those pastries! Oh they look and sound delicious and what fantastic service. I was very impressed the lady did a wonderful job. Wow. That looks so lovely. I’ve been in Harrods and always in awe at everything. I really would love to try it looks fantastic. It was!!! I hope you get to try it. 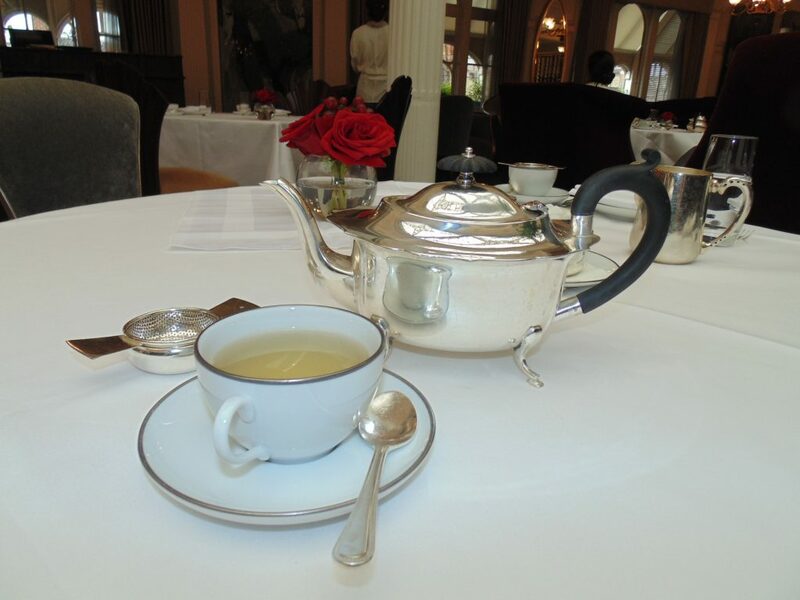 Afternoon Tea is such a British Luxury thing to do & harps back to a more relaxed & refined time. I would love to go & it’s on my wish list for next year. This is definitely going on my bucket list! Everything looks so beautifully presented. 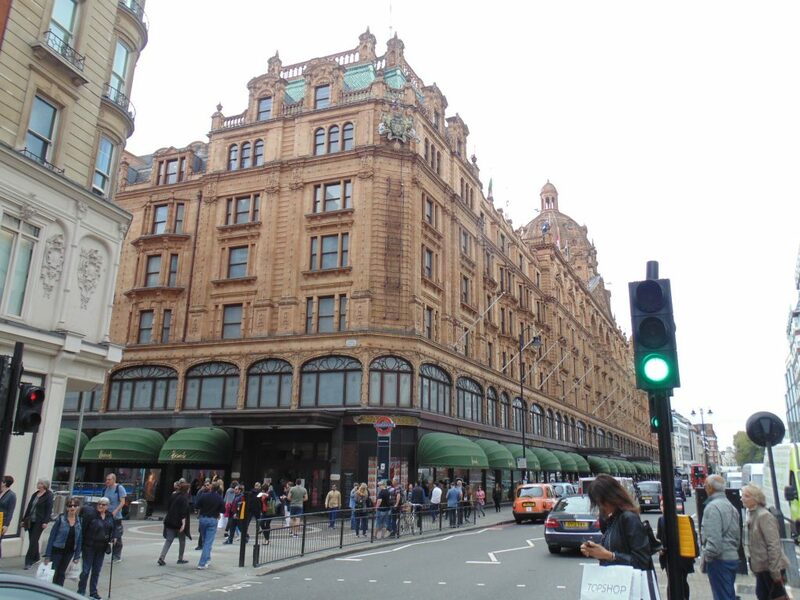 This sounds like a real treat, always loved walking round Harrods when I was younger, just seeing all the different produce in the food Hall was an experience – the tea sounds fantastic! It is worth doing it’s a great experience. It was delicious, we loved it!